New permanent C9 routing starts April 3! 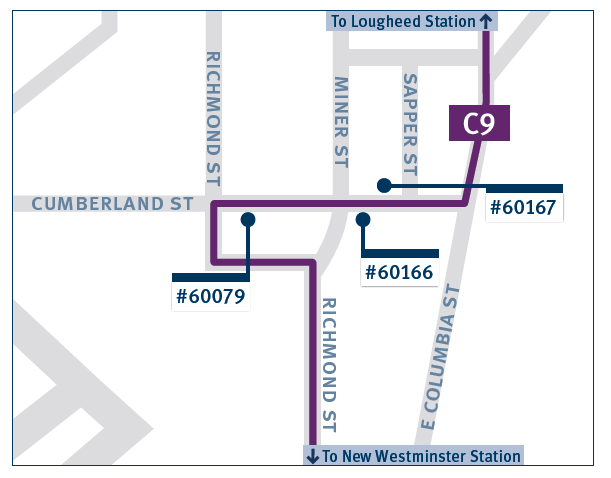 On April 3, 2017, the C9 New Westminster Station/Lougheed Station will now permanently travel through the Fraserview neighbourhood in New Westminster via Cumberland and Richmond streets. Construction of a new bus-only turning light by the City of New Westminster is complete and, as a result, the C9 will be able to make a fancy left-hand turn onto East Columbia Street. 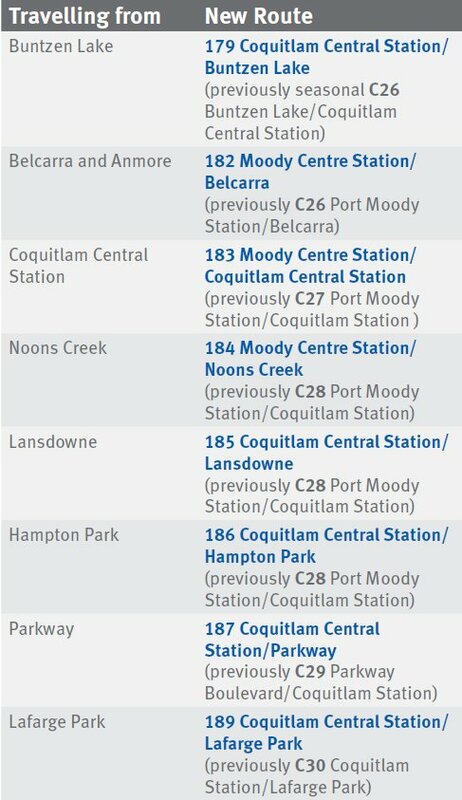 Travelling to New Westminster or Lougheed Stations? Make your way to any in-service bus stop on Cumberland Street (bus stop #60079, 60166, or 60167). 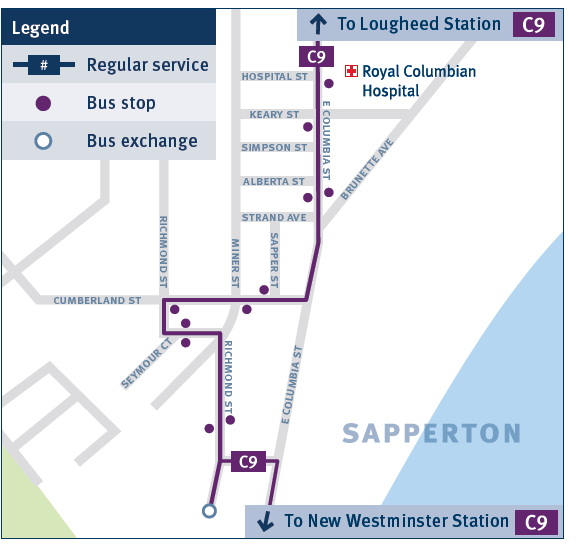 Permanent changes to the C9 are being implemented as a result of the 2015 Transit Network Review. 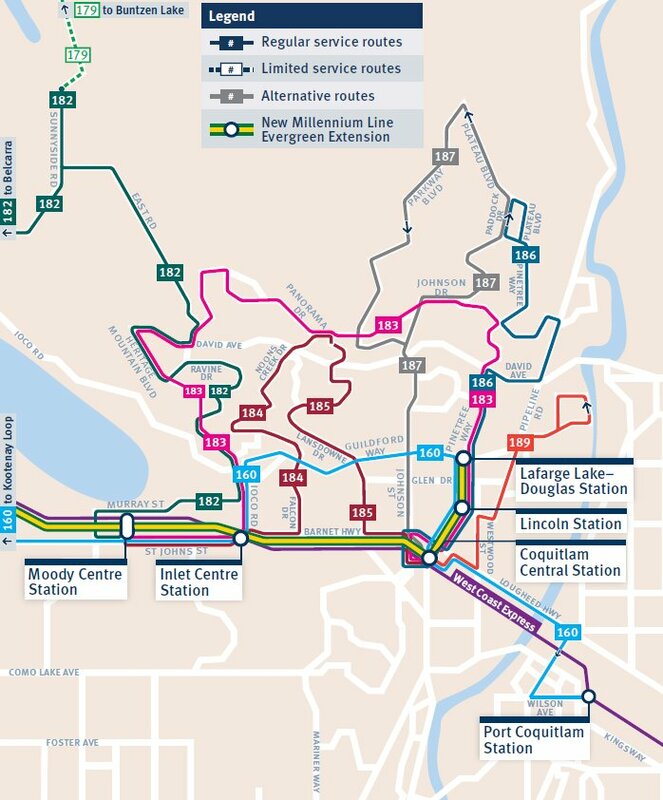 TransLink consulted the public and as a result, we received more than 12,000 completed surveys and hundreds of emails, letters and phone calls. Thank you to residents and those who participated in the 2015 Transit Network Review.